Somatuline Depot is a registered trademark of Ipsen Pharma S.A.
ONIVYDE and Dysport are registered trademarks of Ipsen Biopharm Limited. A comprehensive service and support program to help eligible* patients get timely access to medications and services to support physicians in their practices. 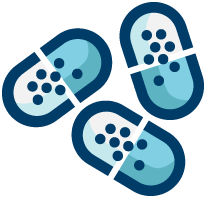 The IPSEN CARES® program was designed to help patients understand their conversage for Ipsen medications. 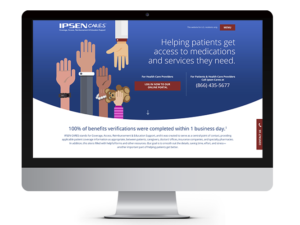 IPSEN CARES® serves as a central point of contact between you, your patients, insurance companies, and specialty pharmacies. IPSEN CARES® can help provide financial assistance and nursing support, as appropriate. Patients and providers can enrol in IPSEN CARES® through a variety of methods including electronically via computer/tablet, fax or mail. IPSEN MD ACCESS™ is dedicated to ensuring that healthcare professionals have access to educational resources about Ipsen’s products. This includes resources about copay information, dosing, reimbursement, training, and more. Take injection expertise to the next level with C.L.I.M.B. *For full eligibility rules and terms and conditions, visit www.IPSENCARES.com. Please see individual program information for program-specific patient eligibility and terms and conditions. IPSEN CARES is a registered trademark of Ipsen Pharma S.A.
IPSEN MD ACCESS is a trademark of Ipsen Pharma S.A.
C.L.I.M.B. is a registered trademark of Ipsen Biopharm. Limited. If a patient has experienced an adverse event related to an Ipsen product or has a product complaint, please contact Ipsen Biopharmaceuticals, Inc., at 1-855-463-5127. Adverse events may also be reported to the FDA at 1-800-FDA-1088 or www.fda.gov/medwatch.